Dak Lak (VNA) – The seventh annual Buon Ma Thuot coffee festival will be held in Buon Ma Thuot city, and the districts of Buon Don and Lak in the Central Highlands province of Dak Lak from March 9-16, heard a press conference on January 15. Vice Chairman of the provincial People’s Committee Nguyen Tuan Ha said the event aims to continue promoting the Buon Ma Thuot coffee brand, thus affirming the position of Dak Lak coffee in particular, as well as more broadly Vietnamese coffee’s important position on the global market. Coffee was first cultivated in Vietnam in 1857. To date, Vietnam’s coffee growing areas reached 20,000ha. The country exports 1.8 million tonnes of coffee beans, raking in 3.2 billion USD per year. Vietnam is currently the world’s second largest coffee exporter, after Brazil. 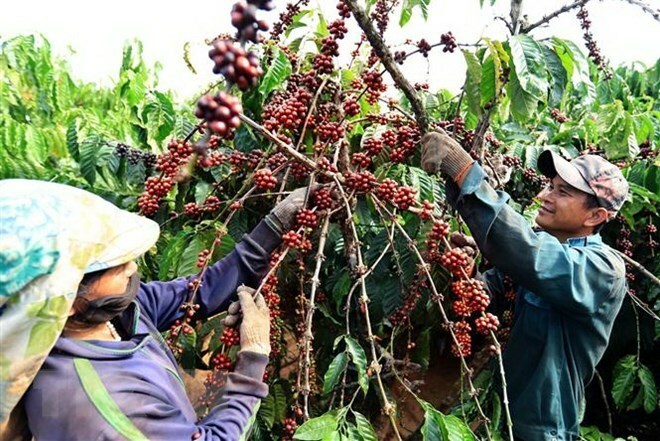 Vietnam exported more than 1.8 million tonnes of coffee worth 3.54 billion USD in 2018, an increase of 20 percent in volume and 1.2 percent in value compared to the previous year.